Sony Pictures has announced the official title of Marielle Heller’s upcoming biopic based on the life of Fred Rogers. 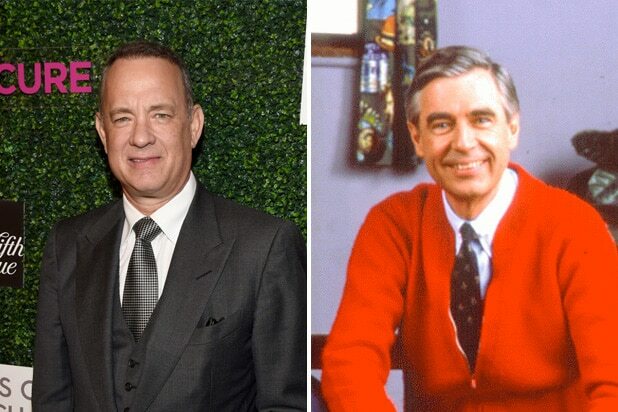 The film, now titled “A Beautiful Day in the Neighborhood,” will star Tom Hanks as the host of “Mister Rogers Neighborhood” and will be released by TriStar in October 2019. The film tells the true story of Rogers relationship with Tom Junod (Matthew Rhys), a jaded reporter who has begrudgingly accepted an assignment to write a profile about the children’s TV host. But as the two talk, Junod realizes that Rogers’ sincerity is genuine, and his worldview is completely changed by the man with whom he becomes a lifelong friend. Micah Fitzerman-Blue and Noah Harpster wrote the script, with Marc Turtletaub, Peter Saraf, and Youree Henley. 2019 will also see Hanks return to voice the cowboy Woody in Pixar’s “Toy Story 4” and star in the Sony World War II drama “Greyhound,” which he is also writing and producing. Tom Hanks has returned to "Saturday Night Live" to host for the ninth time, and he definitely didn't disappoint. Here are the best moments from the October 22 episode with links to each sketch. As if the cold open would be about anything else. Kate McKinnon and Alec Baldwin were back to mock the final presidential debate, but this time they were joined by Hanks, who played Fox News' Chris Wallace. Hanks then spent his opening monologue using his role as America's Dad/the spiritual successor to Mister Rogers to give a heart-to-heart chat with our nation about how it's "a lot gayer than it used to be." In a digital short, Aidy Bryant, Cecily Strong, and Vanessa Bayer play a trio of girls who try to have a chill Halloween. Smash cut to their night going completely down the tubes. Alec Baldwin wasn't just on "SNL" to play Trump again this week. In a parody of Hanks' latest film, "Sully," Baldwin plays an airline captain who realizes that flying with Captain Sullenberger isn't all that it's cracked up to be. Hanks also played the latest attraction on a Halloween elevator ride that isn't as scary as advertised. 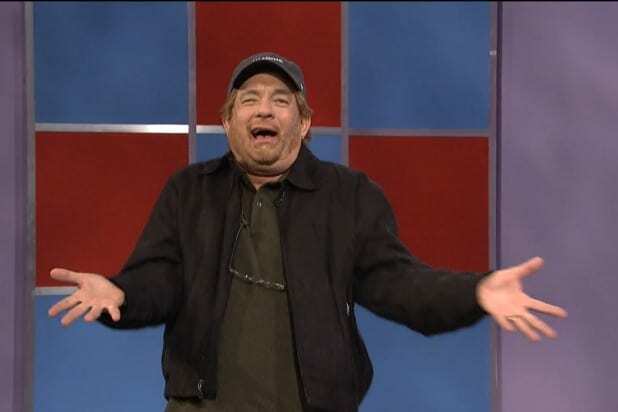 The "Black Jeopardy" sketch has featured celebrities like Drake and Louis C.K.. Now Hanks is on the show as a Trump-supporting redneck. Leslie Jones is continuing to mine her cyber harassment for comedy gold, as she showed up on "Weekend Update" to talk about internet security. Noelle & Joelle are back to riff on pet videos, and they were joined by Hanks playing his filming colleague, Ron Howard. Sitcom premises are getting weirder and weirder. Take this one, in which Hanks, Bayer and Strong play adjunct professors dealing with crippling depression while a voiceover tries to sell it like it's the next "Big Bang Theory." Finally, here's Lady Gaga performing her song "Million Reasons" from her new album, "Joanne."